Lately I have been craving everything floral. Though I own a floral dress I am looking forward to updating my wardrobe with a floral top, floral pants, floral blazer and floral shoes. A few days ago, when I spotted this saree in my MIL's wardrobe, I so wanted to wear it. 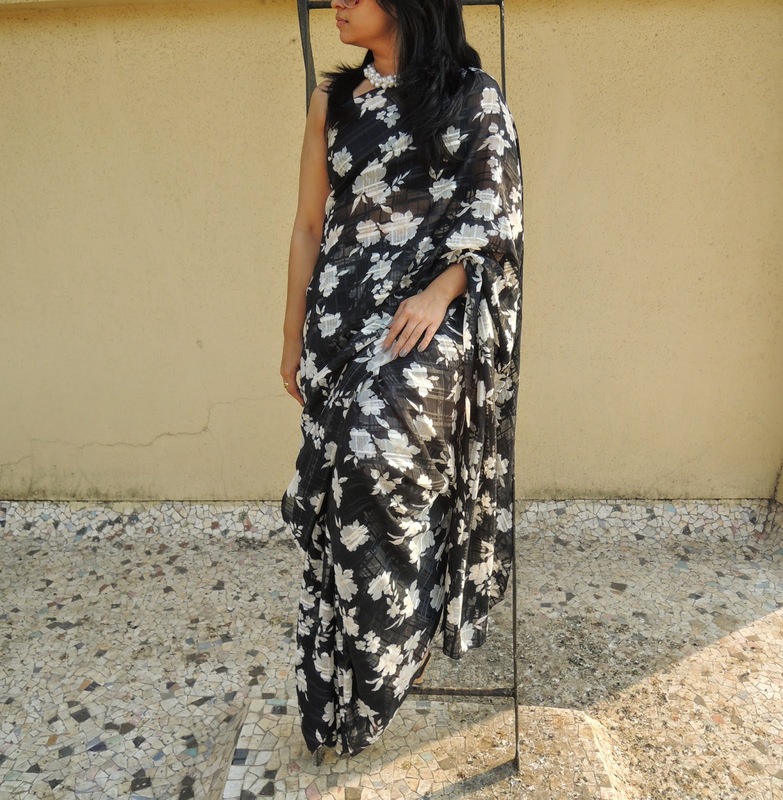 I decided to team this floral saree with my latest purchase from Fashionandyou.com, the chunky pearl necklace. When the pictures were out, I was so happy. I kind of felt very Retro in it. What do you think? P.S. The last pic was clicked and used for my friend Heena's Blog. Wow I love the floral printed saree and the chunky necklace. You carry saree so well. Yes the new floral prints are so much in..
You should be proud Aditi..You rock saree! Love the print. This print is so different n I love the fact it's black . U look great ,one of ur best saree looks . 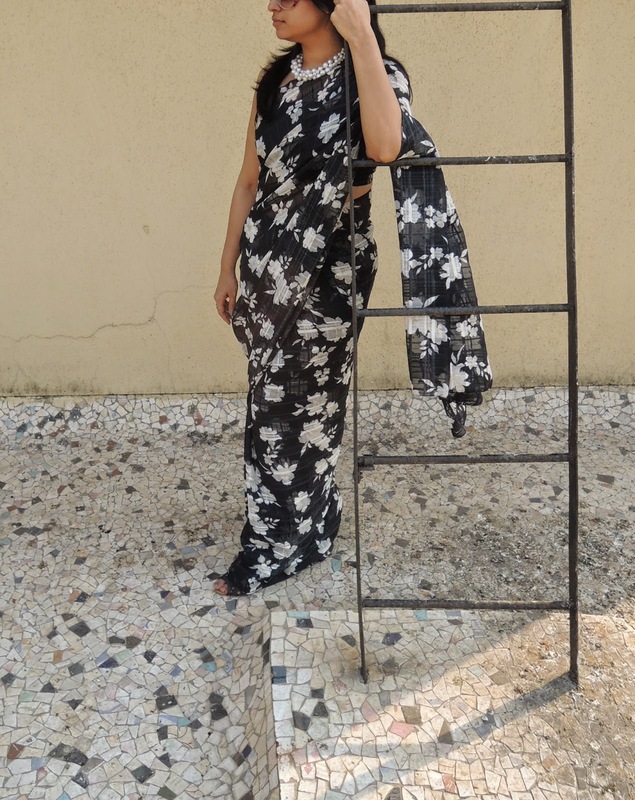 Wow.. Its really beautiful monochrome saree with floral prints... loved your necklace.. Can you please tell me which fabric is this? Gorgeous saree and necklace! Love the floor of your terrace! 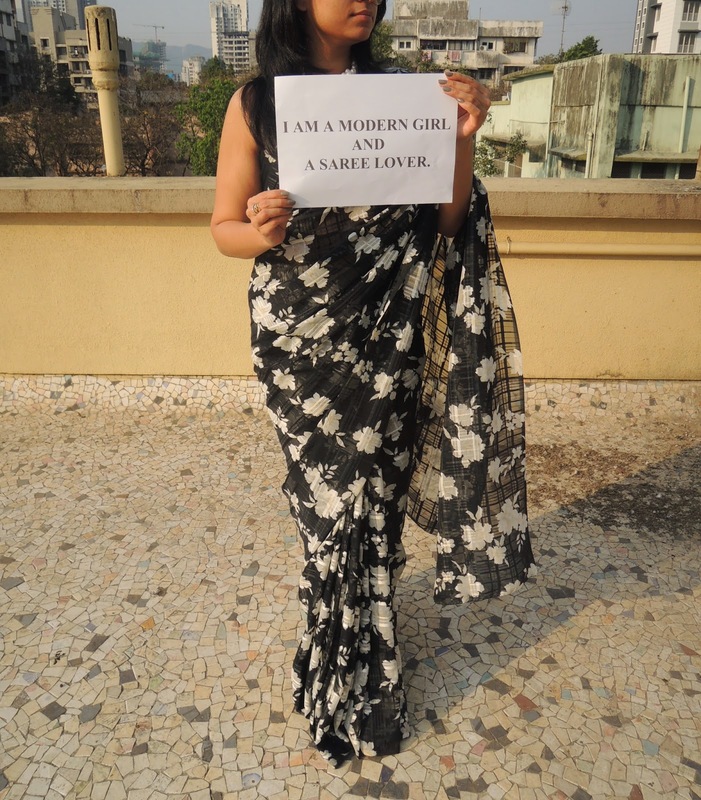 Love your saree, and really like them generally. They are so graceful! !